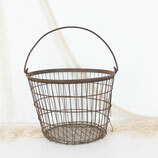 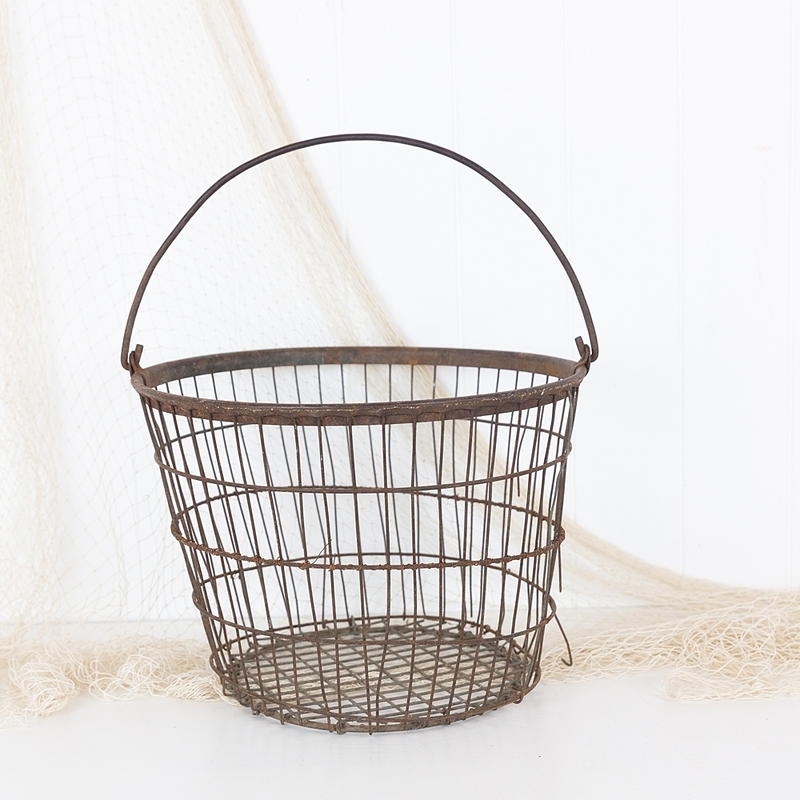 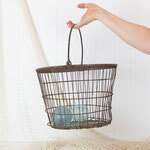 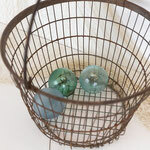 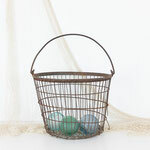 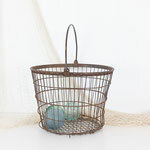 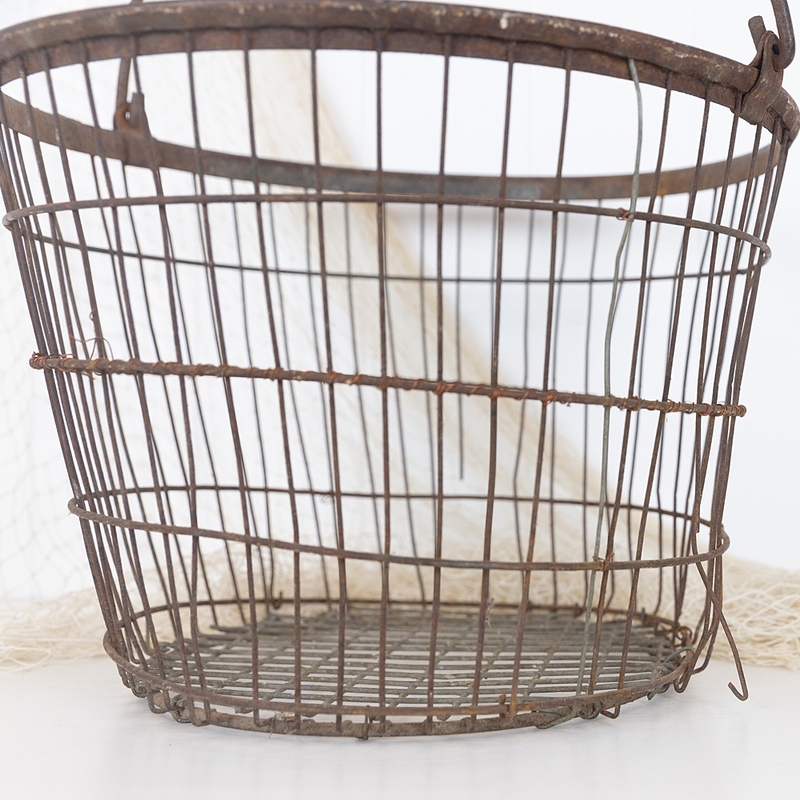 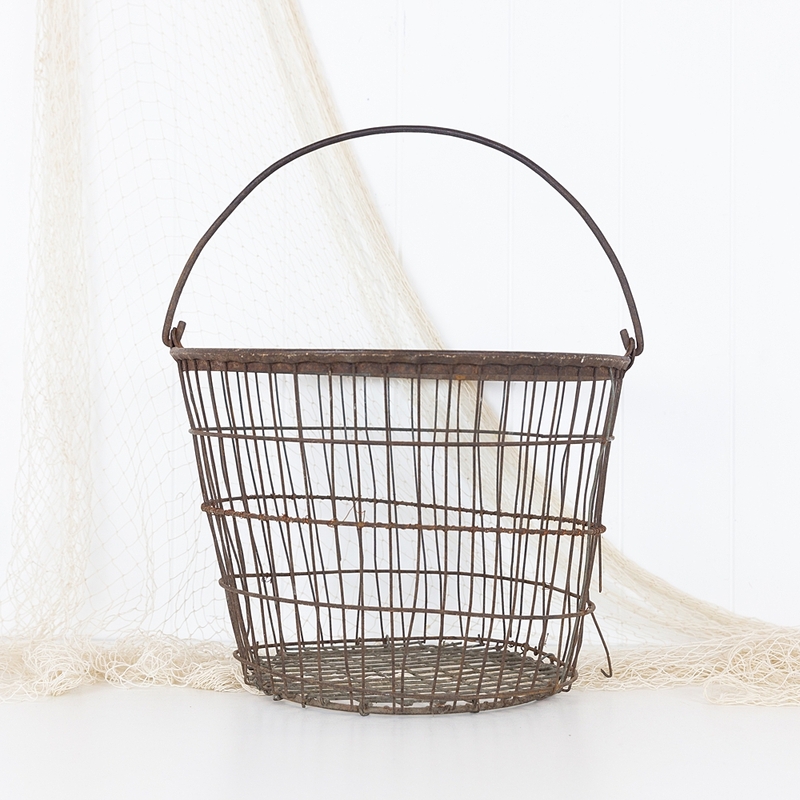 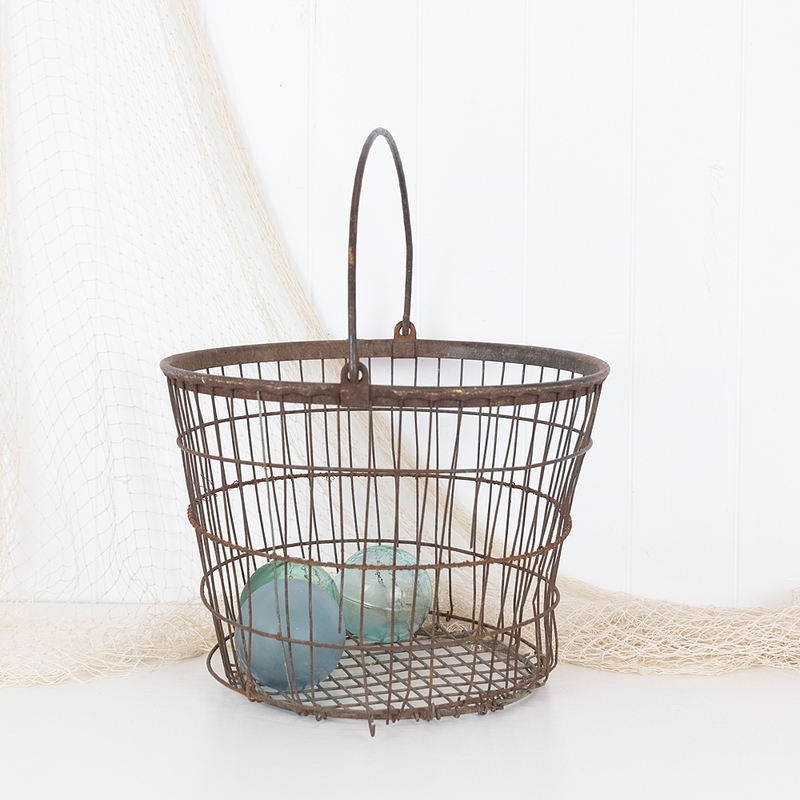 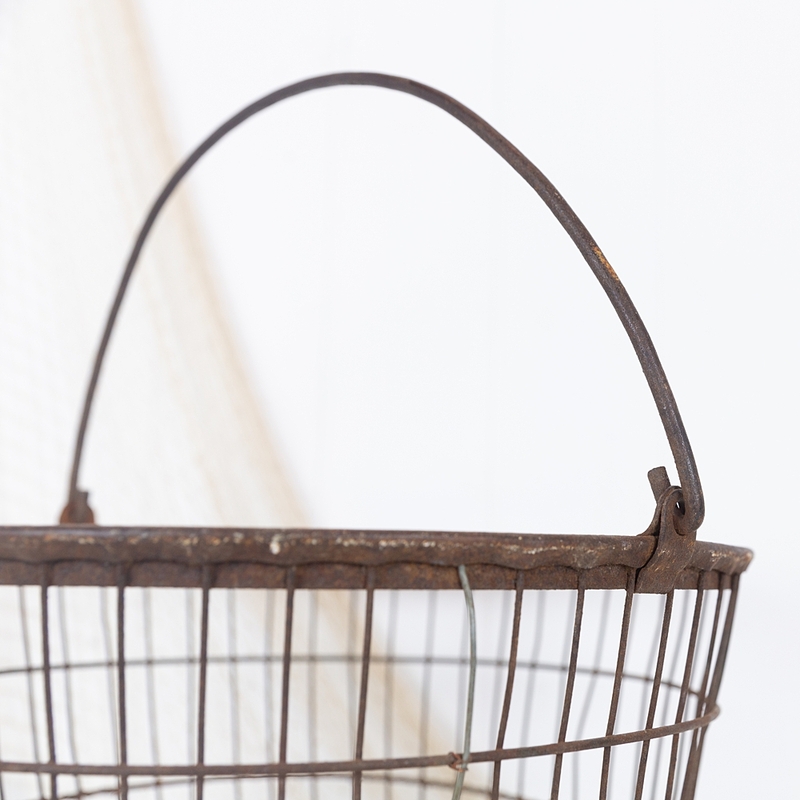 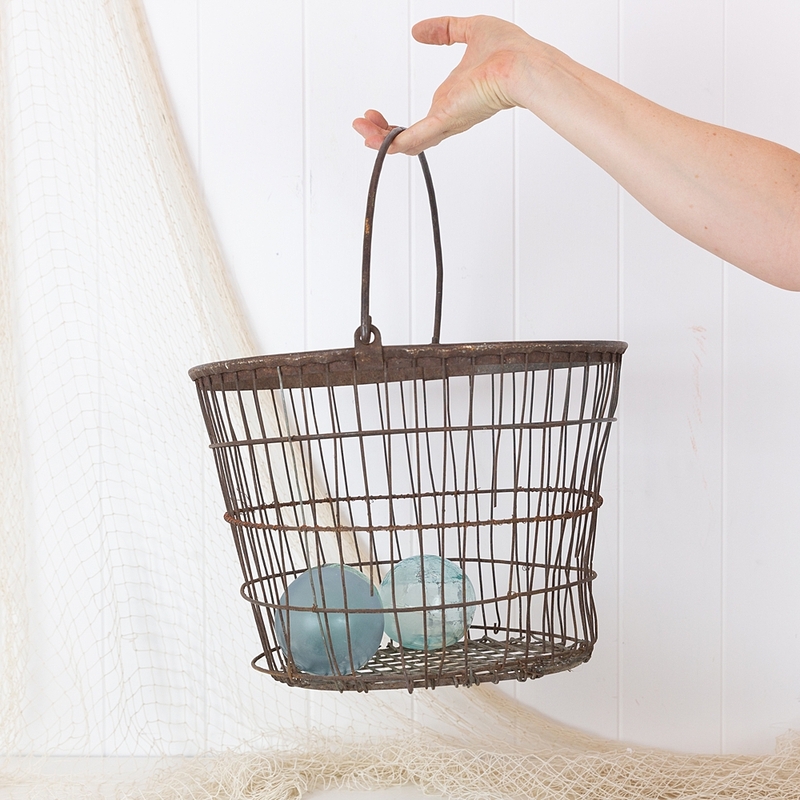 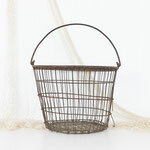 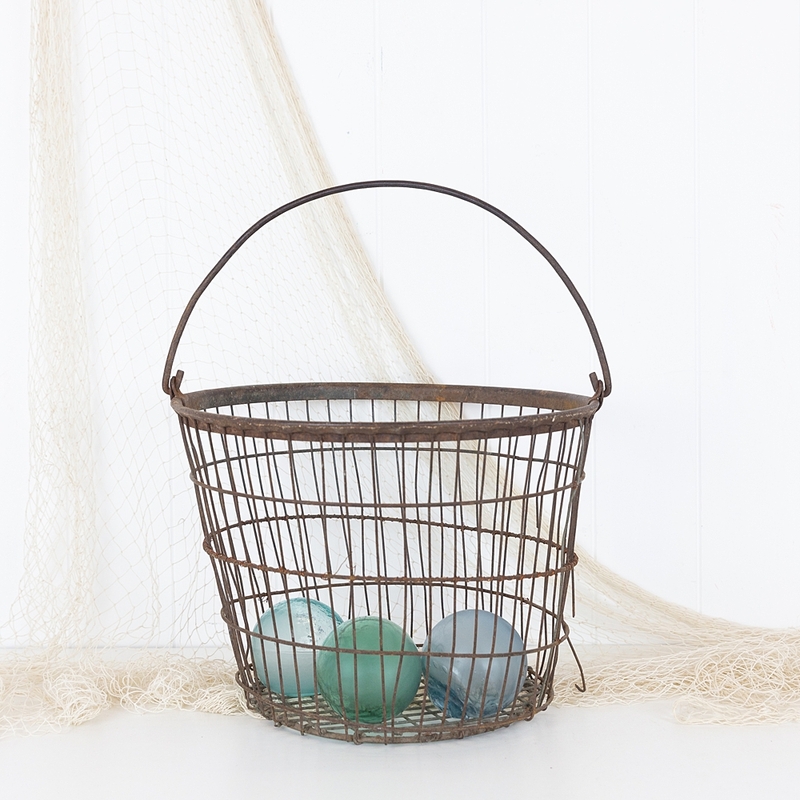 This fabulous old metal basket wood look great filled with fire wood or dried cotton steams. 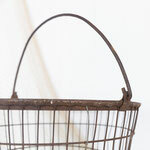 The metal has developed a lovely aged look with some rust. 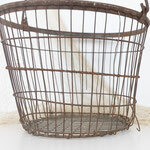 It has started to come apart in places as you would expect with age, and a previous owner has made some repairs with copper wire.